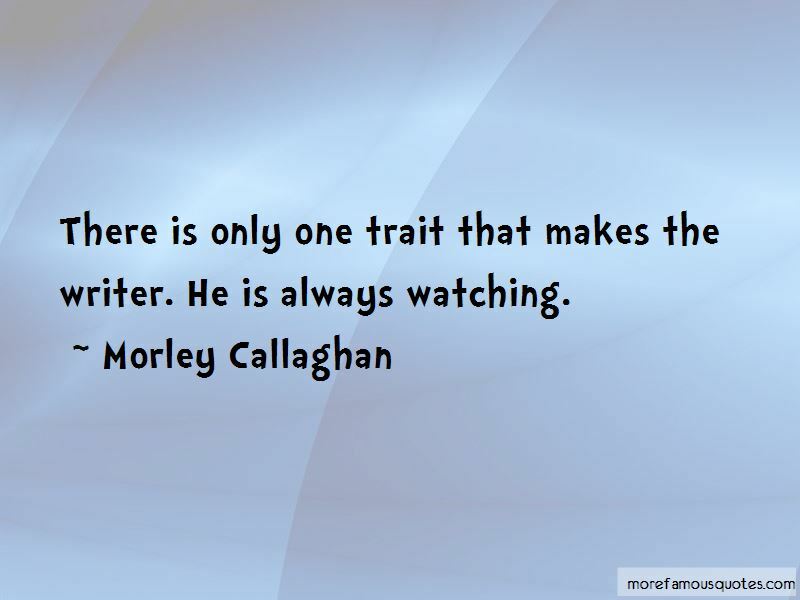 Enjoy the top 10 famous quotes, sayings and quotations by Morley Callaghan. There is only one trait that marks the writer. He is always watching. It's a kind of trick of the mind and he is born with it. The question is," Harry whispered, trying desperately to joke, "whether it's better to be dead from the neck up or the neck down," and the doctor smiled, knowing Harry was protecting himself with his sense of irony. Want to see more pictures of Morley Callaghan quotes? Click on image of Morley Callaghan quotes to view full size. “Its hard having kids because its boring ... Its just being with them on the floor while they be children. They read Clifford” — Louis C.K.